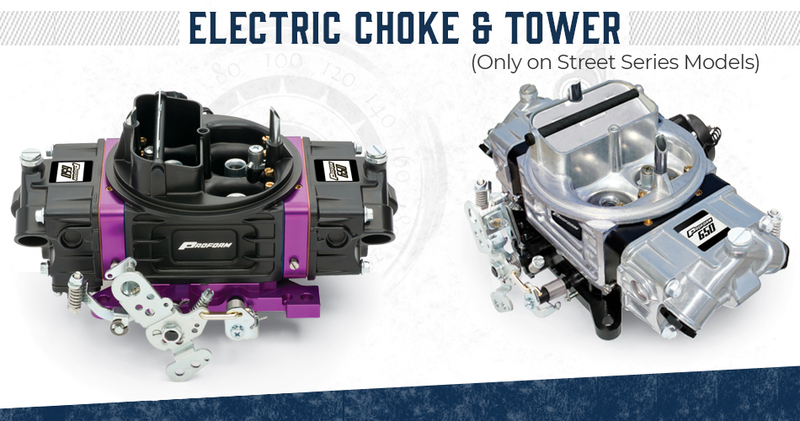 Get dyno-proven horsepower and out-of-the-box performance with PROFORM's Race and Street Series Carburetors. Out of the box the performance, on the street or strip! 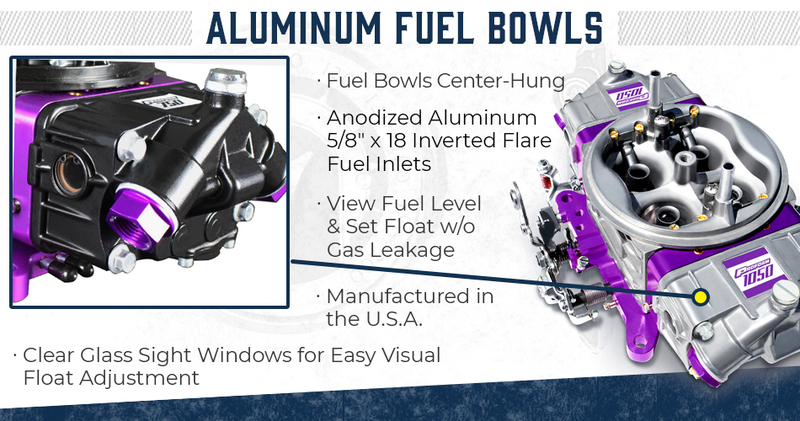 PROFORM carbs utilize the innovative High-Flow Carburetor Main Body that turned the industry upside down, and premium components like billet metering blocks and base plates. 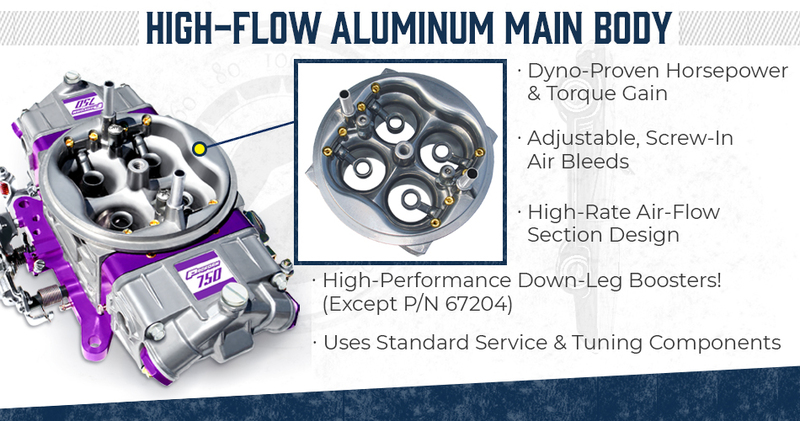 They are hand assembled in the U.S.A., and before shipping, each carburetor is run on an actual engine to ensure all components are functioning correctly. 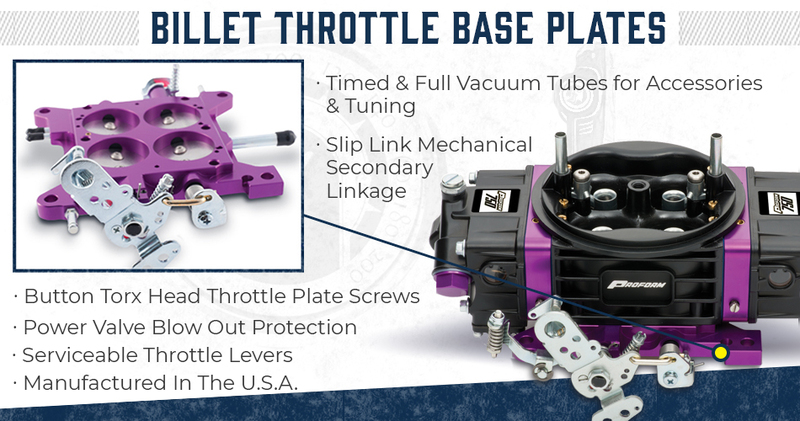 The days of nonadjustable pressed in fittings are over, because PROFORM raised that bar by making everything adjustable a standard feature…so tinker away! 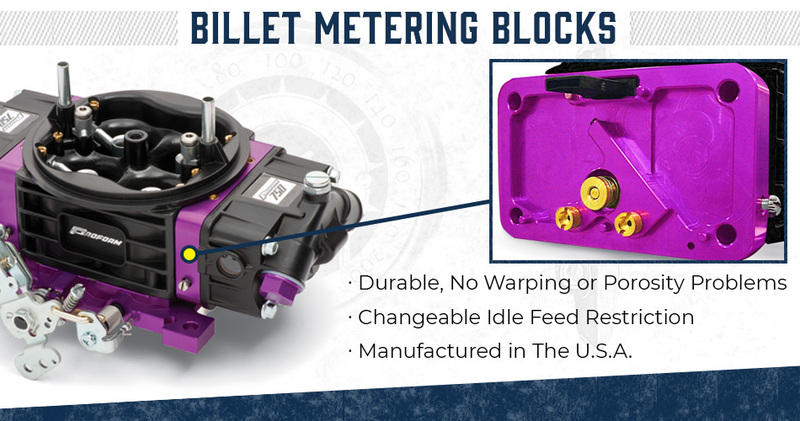 Some of the adjustable features are: changeable air bleeds, and four corner idle feed restrictions (on mechanical secondary models). Scroll down for more details and part umber listings.